On Tuesday, April 16th, Newark voters will select three School Board members. 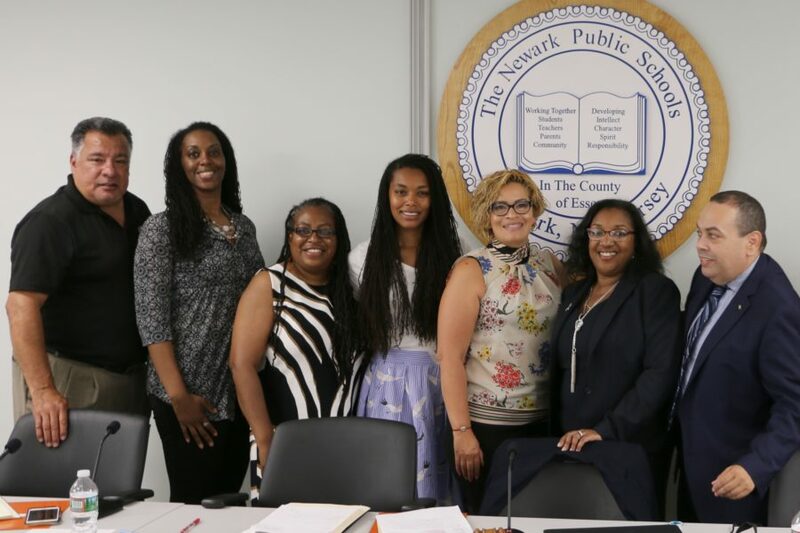 For the fourth consecutive year there is a slate of three candidates, once called the “Unity Slate,” now called “Moving Newark Schools Forward.” The evolution of this slate mirrors the evolution of Newark families’ and politicians’ sentiments about the public charter school sector in New Jersey’s largest school district. I work with a non-profit organization, a 501(c)3, and I don’t make endorsements. There are none here. I did speak with Jermaine James, campaign manager for one of this slate’s candidates, Shayvonne Anderson. It’s clear that this school board election is different than previous years. With the exception of one virulently-anti-school choice competing slate (there are a total of 11 candidates) Newark’s charter school wars appear to have reached a detente. Indeed, the Moving Newark Schools Forward slate represents a post-public vs. charter mindset. One clear emblem of this movement: Three years ago Mayor Ras Baraka chose an anti-choice candidate, Leah Owens, for the Unity Slate. This year he chose A’Dorian Murray-Thomas, a twenty-three year old (!) who graduated from KIPP and Swarthmore College, was named by President Obama as a “White House Champion of Change,” founded SHE Wins Inc., a leadership program that serves girls who attend Newark schools, and will be a Teach For America social studies teacher in Newark next year. That lack of clarity, in fact, may be a sign of lucidity: Many Newark families don’t feel the need to pick sides between a charter sector and a traditional sector. They’ve moved on. So has Mayor Baraka. Previous PostPeople Show You Who They Are, Including The Head of Student Services At The New Jersey Department of Education. New Info From Asbury Park. Next PostLamont Repollet and the 64 Floor: How Did He Raise Asbury Park’s Graduation Rate? Let’s Do the Math. Thanks for writing, BounceSquad426. I am actually working on a piece about the North Jersey piece, so stay tuned! Charter schools are their own school districts and have their own boards so I am not clear how relevant this charter vs. public school question is. But in any event if you want to pose it…….I think the issue does not lie in whether you pick one or the other. The issue lies in the fairness of the funding and after watching over a hundread testimonies at both the senate and assembly state budget meetings last week…..monies for our public schools is definitely an issue. Coupled with the the lack of oversight with charter schools and all these charter school aligned people trying to get on a board with a billion dollar budget.